Garden of Praise ~ Great multi-subject, Bible-based resource!! I was excited to find Garden of Praise! 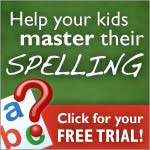 There are TONS of free resources and printables for LOTS of different subjects including spelling, writing, math, history, art appreciation, music and teacher helps! It is a Bible-based site, so there are LOTS of great Bible printables. Infact, the Bible is woven into many of the other subjects matters on this site. New sites are added to the top of each subject page. This site has been added to our BIBLE, MULTI-SUBJECT, and SUPPORT pages! American Heritage is offering a FREE US History CD. For a limited time, you can receive this free K-12 Lesson Plan Resource based on early US history. It is valued at $150!!! Head on over to sign up for yours! I just got my CD in the mail today!!! To find this site as well as many others, please go to our HISTORY page! This site features TONS of living math books that can be used to help teach and reinforce mathematical skills. It is even divided up into categories based on the math skills found in each of the books! This is a great math resource!! This site was added to the category below. Please click the pencil below to find this site and many others. These sites was added to the categories below. Please click the pencils below to find links to these sites and many others. Deadline: The 2010 enrollment deadline is June 30, however, we will continue to accept enrollment requests on a first-come, first-served basis while supplies last. The Pizza Hut BOOK IT! Program also has a great education site with free printables and ideas. The site was added to the category below. Please click the pencil below to find this site(s) and many others.